The original Corry Field, initially Kiwanis Field, had its beginning in 1923 in a remote area north of Pensacola, Florida, with relocation to its present site in 1928. The station honors Medal of Honor recipient LCDRWilliam M. Corry, Jr., USN. In its beginning, Corry Field was an active aviation training complex where advanced fighter plane techniques were taught. In 1943, the field was re-designated as Naval Auxiliary Air Station Corry Field, continuing to serve as a training center for aviators through World War II and during the Korean War, until its decommissioning as an active airfield in June 1958. The site saw its metamorphosis from flight training to technical training in 1960, when the first class of communications technicians (later known as cryptologic technicians) arrived. Hangars were converted to classrooms and laboratories that were stocked with communications training equipment. To reflect this change, the Chief of Naval Operations changed the name of Corry Field to Naval Technical Training Center (NTTC) Corry Station in 1973. NTTC Corry Station was among the first Navy technical schools to be accredited by the Southern Association of Colleges and Schools. This accreditation certified that the instruction offered at NTTC and students could receive college-level credit for completed courses. In 2003, Naval Technical Training Center, Corry Station officially became the Center for Cryptology Corry Station, as part of the Chief of Naval Operations establishment of Navy Learning Centers in support of the Revolution in Training. In 2005, Center for Cryptology Corry Station and the Center for Information Technology San Diego merged to become the Center for Information Dominance Corry Station. In 2007, the Center for Information Dominance Corry Station is home to itself, as well as the Center for Information Dominance Unit Corry Station. 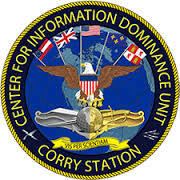 As of 2015, the Center for Information Dominance Corry Station is now known by its parent command of NASP as well as its own name. The Center for Information Dominance (CID) is the Navy's Learning Center that leads, manages and delivers Navy and joint force training in Intelligence, Information Warfare, Cryptology and Information Technology. Created in 2011, CID was charted by the Chief of Naval Operations to align the training responsibilities for the key disciplines of Information Dominance. Our mission is to provide the fleet with the optimally trained Sea and Joint force warriors who can deftly operate within the Information Domain to create both kinetic and non-kinetic advantage. 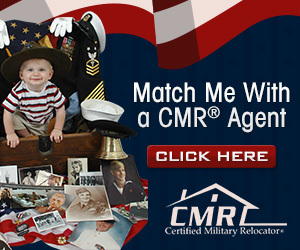 Headquartered in Pensacola, Florida, CID develops and administers 168 courses at twenty different locations around the globe, training more than 24,000 service members per year with a staff of nearly 1,300 military, civilian and contracted staff. If you need information en-route, call the CID Unit Corry Station Quarterdeck at (850) 452-6618. When you arrive, check in first at the Quarterdeck in Bldg. 1094. Look for the first building on your left from the main gate. You can fly directly into the Pensacola Regional Airport (PNS). Information on local air service providers are posted on the airport's web site (www.flypensacola.com). Consult your local travel office for routing. When you arrive at Pensacola Regional Airport A school students should report to the USO (850) 455-1064 located on the second level of the terminal lobby to arrange transportation to Corry Station. Turn right at FL-297/Pine Forrest Rd. Turn left at Florida 10A east. Exit onto FL-295S towards Pensacola NAS. Turn right at Chief's Way. Once on Chief's Way CID Unit Corry Station's main gate will be about ¼ mile straight ahead. Take exit 69 for AL-113. Turn right at County Road 3. Turn left at Flomaton Blvd. Continue onto N Pace Blvd. Turn right at W Fairfield Dr.
Take slight left at New Warrington Rd. Take exit 12 onto I-110S. Take exit 5 for Brent Lane. Turn right at Brent Lane. Slight left at New Warrington Rd.